For the next 2 weeks, pay special attention to messages that reach you from within. Mercury goes direct on the day of the New Moon; our thinking changes direction. And Mercury is extremely important because it contacts Chiron for the last time in over 40 years from a water sign. Secrets are being revealed right now; family secrets, insight into old dependency patterns. Venus and Mercury are in Scorpio; our relationships depend on real, deep communication, otherwise they suffer. And Mercury/Chiron shows what actually stands in the way of this loving contact. On a personal level we can experience a kind of rebirth, a new beginning, but also a deep pain that draws our attention to these old patterns and urges us to leave them behind. What’s more, in the next two weeks we can find a completely new orientation of our thinking. Use the opportunity to check your world view. Where do you dare to do something, and where do you think you can achieve nothing great? What do you think about the world? Where do you sabotage yourself through semi-unconscious moods, fears, or false information? Sometimes these faith checks can be very unpleasant. Because if you are really honest and allow yourself to realize that a certain belief in your life was wrong, there is often a bitter aftertaste. "Had I known this earlier, I would not have made the mistake / would have applied there / would have moved there ...". Please don't let such thoughts pull you down! These insights are part of life, for everyone. There is a reason why you only now give up this fear/insecurity/restriction and not 10, 5, or 2 years ago. We have to accept that we all are developing, and things take time. Even when you are 70, you can still change your life. There are people who still follow their dream at 60, 70, 80 years of age, after a "normal" life in normal jobs, and boredom or disappointment. As long as we live, nothing is too late. This is also the message of Sagittarius, the optimistic and ever young fire sign. 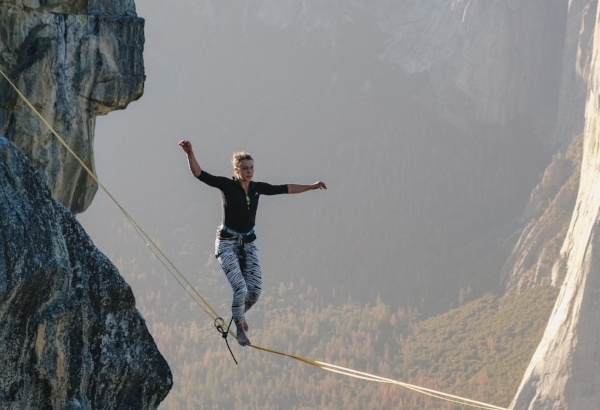 With so many planets in the mutable signs Sagittarius and Pisces at the moment there is a sense of insecurity and a dance on the tightrope. This lack of stability will soon pass. Try to accept that things may be getting pretty messy right now and even previous securities seem to dissolve again. This last New Moon of the very intense, partly beautiful, partly disturbing year 2018 is not meant for stabilization. It is there for you to review your belief system and your opinion about yourself, about others, about the world, and to steer you in more productive and beautiful directions. Until mid-month we have Mercury in uncomfortable aspect to Uranus. That is even more of that tightrope act. We are put to the test by freedom. How much can you let go of what keeps you in chains? How much do you dare to change your view of life so that you can lead a more independent and happier life? Take these questions seriously, because 2019 will demand decisions that will guide your life in new or old ways! Dare to be optimistic, even if you don't have all the information together yet. Happy New Moon!